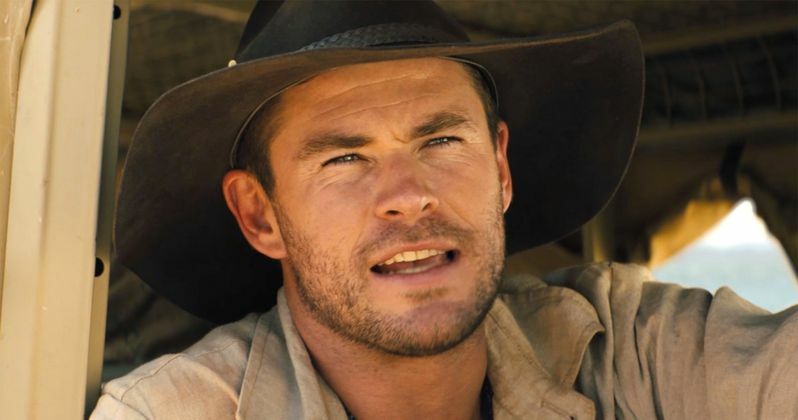 Chris Hemsworth hasn't been a household name for long, but he's been busy in front of the camera for well over a decade now. And he's decided that it's time for a well deserved break. He'll be going on an extended vacation soon to spend more time with his kids. Don't worry, it's not like you're gong to go the rest of the year without seeing the Australian actor. He will reprise his role as Thor: God of Thunder in the most anticipated movie of 2018, appearing alongside every other big Marvel actor in Infinity War. And then, if he doesn't perish in that movie, he'll be back for Avengers 4. So it's not like we won't be seeing the guy. After Avengers 4, Chris Hemsworth's Marvel contract is up. He doesn't want to quit the company just yet, though, and he has plans to possibly return in Thor 4 is Marvel is willing. That sequel has not yet been confirmed for Marvel Phase 4. None of those titles will be revealed until after Avengers 4 opens. As they are all spoilers for this two-part epic. Not only that, we've already seen him in 12 Strong this year, which just opened at the box office. And he'll be part of the big Dundee Super Bowl commercial. Thor: Ragnarok opened this past November and was a huge success for Marvel and Disney. So perhaps the guy deserves a break. Though it may be viewed as an odd time to slow down this momentum. Chris Hemsworth just recently wrapped shooting on Avengers 4. While doing press for 12 Strong, he had this to say about taking a big break from the world of Hollywood. "I want to be able to take the kids to school. I may even be off all year. Maybe. It's time to just cash in and check out and surf for the rest of my life." Hemsworth went onto note that his success in Hollywood came just as his family began expanding. He went onto say this. "It all happened at once and I've thought about it and gone, 'God, am I trying to do too much at once? There's no regret by any means. It just comes out of wanting to be [at home] more. I want to be there more. My wife and I were talking the other day about how the years are flying by: our daughter [India Rose] is five and a half and the boys [twins called Tristan and Sasha] are three and a half. And however much time you do have together, it never seems like enough. It's always exhausting, even when we have help with grandparents or a nanny." Hemsworth understands that not having steady work in front of him is intimidating. That Hollywood can quickly dismiss and forget its biggest stars. So he needs to be careful how he plans everything out. He explains. The character of Thor is more popular than ever. But it's possible that the God of Thunder might not make it out of Avengers 4 alive. When Hemsworth asked Marvel boss Kevin Feige about Thor's future, he was told just to concentrate on the next two Avengers movies. Thor's ultimate place in Marvel Phase 4 is a discussion for further down the road. As for now, you can see Hemsworth next as Thor in Infinity War, which opens in theaters this May. This interview was first picked up by ComicBook.com.